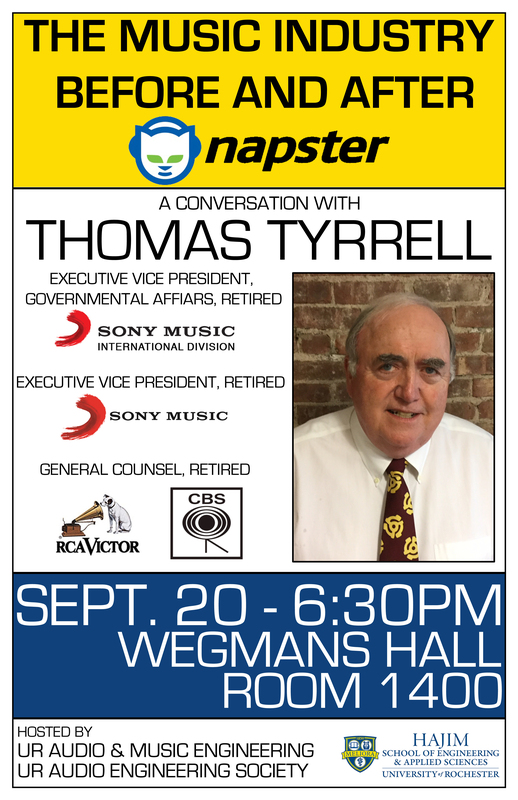 Thomas Tyrrell served as Vice President of Governmental Affairs at Sony Music International, where he oversaw the label’s interests in the U.S. and overseas. Late in his career, he was instrumental in defending the recording industry against pirating due to internet sharing networks. He also served as an Executive Vice President at Sony Music, and General Counsel at RCA Records and CBS Records. He worked with Michael Jackson, The Rolling Stones, and signed Celine Dion at age 18. He received an engineering degree from Northwestern in 1967, and his law degree from NYU. Mr. Tyrrell has served on the Recording Industry Association executive board and as a board member and legal adviser for the T.J. Martell Foundation, which funds cancer and AIDS research. He has also served as an adviser for Northwestern's Robert R. McCormick School of Engineering and Applied Science.